At Tableau, our mission is to help people see and understand data, including data from Tableau services—a process we call “using Tableau on Tableau.” In the spirit of self-service, we are proud to announce the release of TabMon, our open source cluster monitor for Tableau Server. You can use TabMon to monitor physical (CPU, RAM), network, and hard-disk usage. 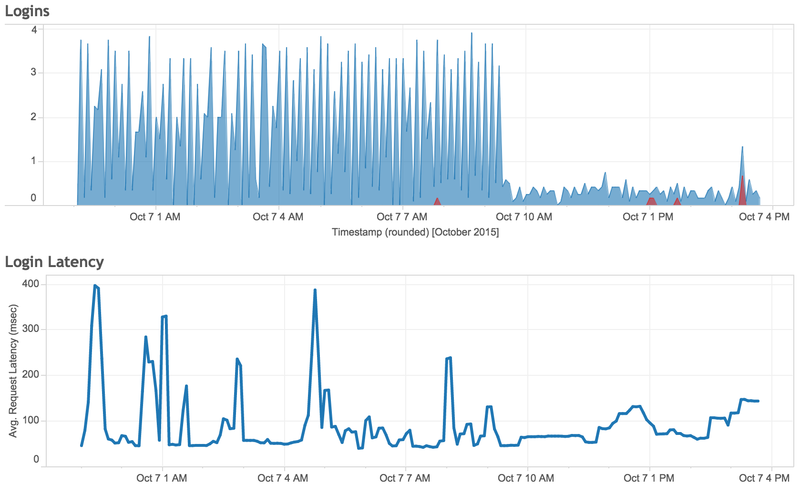 You can track cache-hit ratio, request latency, active sessions, and much more. TabMon records system health and application metrics out of the box. It collects built-in metrics like Windows Perfmon, Java Health, and Java Mbean (JMX) counters on Tableau Server machines across a network. It displays the data in a clean, unified structure, making it easy to visualize the data in Tableau Desktop. TabMon gives you full control over which metrics to collect and which machines to monitor, no scripting or coding required. All you need to know is the machine and the metric name. TabMon can run both remotely and independently of your cluster. You can monitor, aggregate, and analyze the health of your cluster(s) from any computer on your network with almost no added load to your production machines. Download TabMon, read our installation guide, and visit the Tableau Server Admin Community page to join the discussion. You can also download the source on the TabMon GitHub page. This is awesome! Been waiting for something like this for ages! Hi Michael ,Its really awesome tool for the Tableau Community. But I would like to have clarification here.If we have More JMX counters ,will that affect the performance by any chance. 2016-05-03 12:43:09,094  INFO TabMon.Sampler.CounterSampler - Polling..
System.ArgumentException: Cannot set column 'machine'. The value violates the MaxLength limit of this column. someone said "The reason that column is limited to 16 is because the max NETBIOS computer name length in Windows is 15 characters." I'd like to know how to fix it? 2017-04-27 13:19:30,093  INFO TabMon.Config.TabMonConfigReader - Loading TabMon user configuration..
2017-04-27 13:19:30,155  DEBUG TabMon.Config.TabMonConfigReader - Loading database configuration..
2017-04-27 13:19:30,171  INFO TabMon.Config.TabMonConfigReader - Connecting to results database..
2017-04-27 13:19:32,952  FATAL TabMon.Config.TabMonConfigReader - Could not initialize writer: Failed to establish a connection to 'localhost'. 2017-04-27 13:19:32,952  DEBUG TabMon.Helpers.HostnameHelper - Successfully resolved 'localhost' to 'AAAAAAAAAAA'. 2017-04-27 13:19:32,968  INFO TabMon.TabMonAgent - Initializing TabMon..
2017-04-27 13:19:32,968  FATAL TabMon.TabMonAgent - Invalid TabMon options specified! Topshelf.TopshelfException: The service did not start successfully (returned false). When I try to start the TabMon I am getting the above error.Please guide me in solving this.